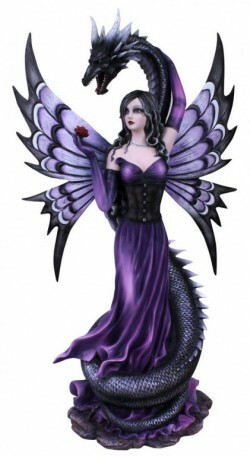 Gothic fairy with dragon guardian. An eye-catching Fairy Figurine with great detail and design. From the Nemesis Now Fairy Collection.